While rosters in the California League are in flux, the broadcast booths in the eight-team league are relatively stable. Before Jill Gearin stepped to the mic this year for the Visalia Rawhide, the other seven teams in the High-A league had the same set of announcers since 2014. It’s not the fact that Gearin, at age 22, is the youngest broadcaster in the league that makes her unique. It’s the more obvious reason. Cal League historians say Gearin is the first female broadcaster in league history. 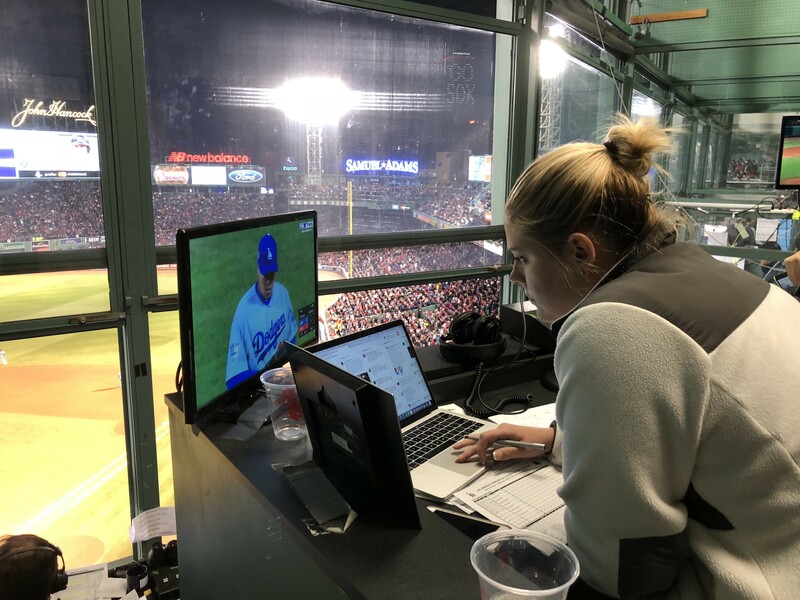 While this is Gearin’s first professional job, she served as an intern with the Boston Red Sox radio network last year. She also has had mic time with the Nashua (New Hampshire) Silver Knights collegiate summer ball team, and her alma mater Emerson College in Boston. Gearin knows that no matter how well she calls games in the booth, she’ll be judged by her gender. No big deal she says. Gearin doubles as the Rawhide’s media relations director, preparing game notes and handling interview requests and team publicity among other duties. It’s all about connections. Gearin attended Emerson with Julian Rifkind, the Rawhide’s director of baseball operations. He put her in touch with the team’s general manager, Jennifer Reynolds. “Women tend to really support each other in baseball and all sports, really,” Gearin said. Reynolds had considered dropping broadcasting after her announcer for the last two years, Vinnie Longo, moved out of town. She thought about replacing broadcasts with the team’s online play-by-play software. “I told myself that unless I got a resumé that stood out to me, I was going to go the technology route,” Reynolds said. Then, she reviewed Gearin’s resumé and received an email praising the prospective play-by-play announcer from a Rawhide season ticket holder, who happened to be a Gearin family friend. 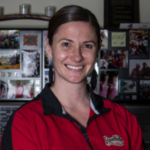 Listen to Jill Gearin’s call of the Rawhide’s 1-0 walk-off, 11 inning victory April 6 versus San Jose. 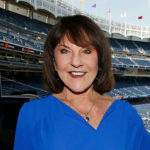 Gearin names two female baseball broadcasters as her professional influences — analyst Jessica Mendoza of ESPN and New York Yankees radio commentator Suzyn Waldman. 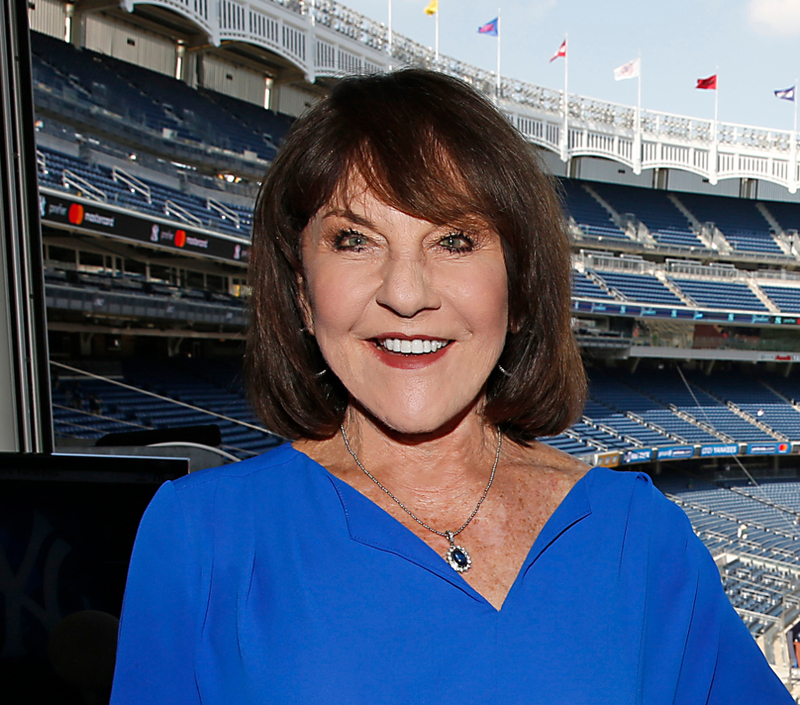 Waldman is the first female to hold a full-time MLB broadcasting job, working her 13th season on Yankees radio. “She took multiple times to speak with me and really help me figure out how to feel comfortable in what’s considered a man’s world, still,” Gearin said. Despite growing up in Hermosa Beach, Gearin cheered for the Boston Red Sox — influenced by her father, a Massachusetts native. Her dad also instilled in her a love of baseball. “I’m an only child, and my dad really wanted a boy. Instead, he had me and taught me baseball from a young age,” Gearin said. Her mom joked that she talked a lot and she should go into broadcasting. Her goal since the eighth grade is to broadcast for the Red Sox. Last season, she interned with their radio broadcast team. Her roles included gathering interviews with players for broadcast, and helping the announcers with stats. However, because she was employed by the radio station and not the team, she did not receive a World Series ring. Gearin can’t believe the lack of females in baseball broadcasting. She is only one of three in the minor leagues. “I don’t understand it. It’s 2019, how is this a phenomenon that I’m here?” she asked. Reynolds, her boss, has an idea. Waldman’s advice to Gearin is to keep a positive mindset. “You will be tested, you will be criticized, but, don’t let it stop you. Most of all, don’t let anyone who doesn’t know you and doesn’t care about you dictate how you feel about yourself,” Waldman said. How does Gearin plan to achieve her goal of returning to the Red Sox booth? My son is a current Rawhide player. I am thankful Jill Gearin is at the mic and I can hear her broadcasts and not just follow live stats. She obviously knows the game and does a great job relaying needed info to the listeners. Wishing her and the Rawhide success this season.